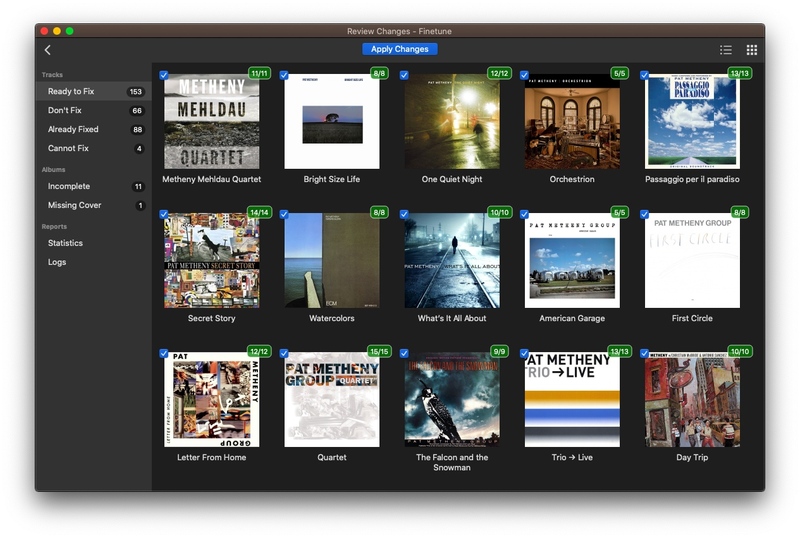 Finetune is the easiest way to fix your music library. 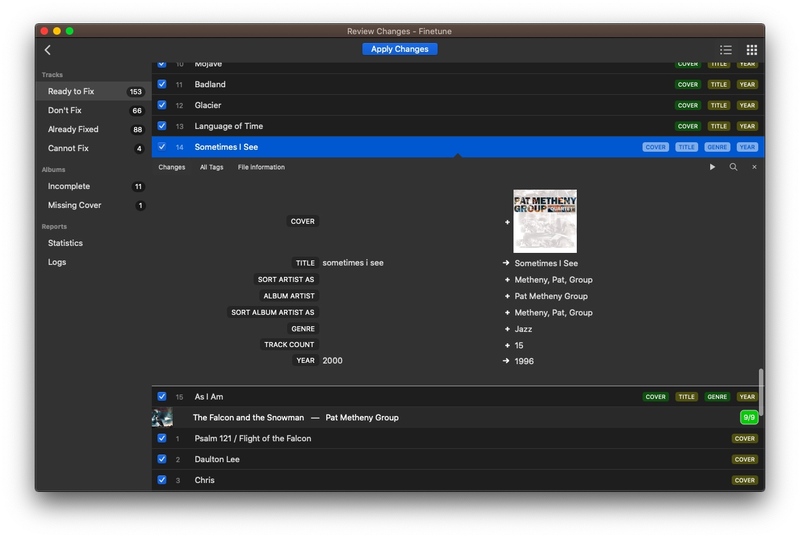 Automatically fix song information, cover art, lyrics and remove duplicate and missing tracks. Automatic cleanup! Unlike other tagging tools, Finetune works mostly in an automatic way. You just review the proposed changes, maybe tweak them and apply. Acoustic magic Finetune listens to your music and calculates its acoustic fingerprint, then it searches for matches in the AcoustID database. Ready for classical music Finetune adds composer and performer information. 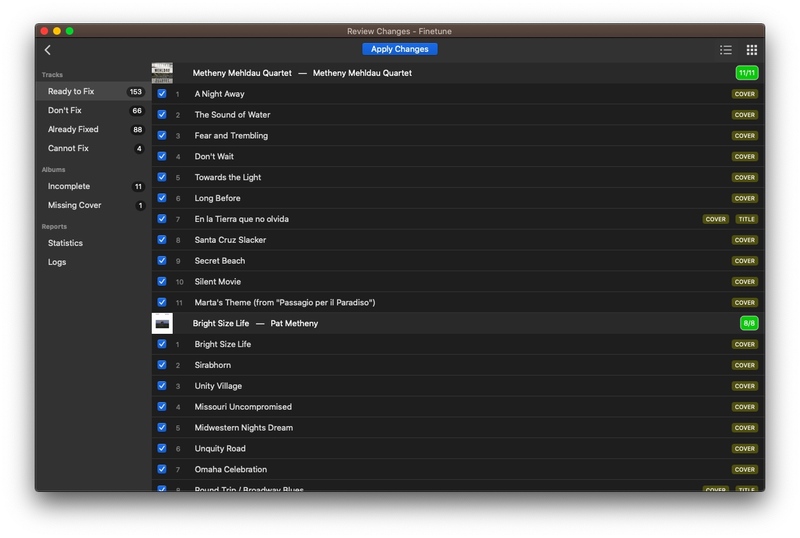 Your iTunes Composers view will look like never before. 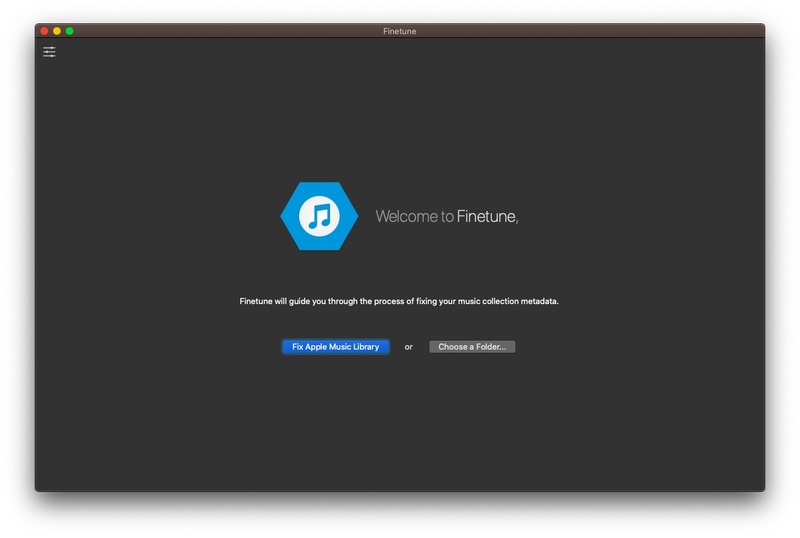 Jun 6 Finetune 1.3 released! Apr 4 Finetune 1.2 released! Sep 20 Finetune 1.1 released! Add Genres: Rock, Pop, etc. Great with the iTunes Genres view. Add lyrics so you can sing along. Correctly tag albums by multiple artists and compilations. Detect duplicate tracks and remove them. 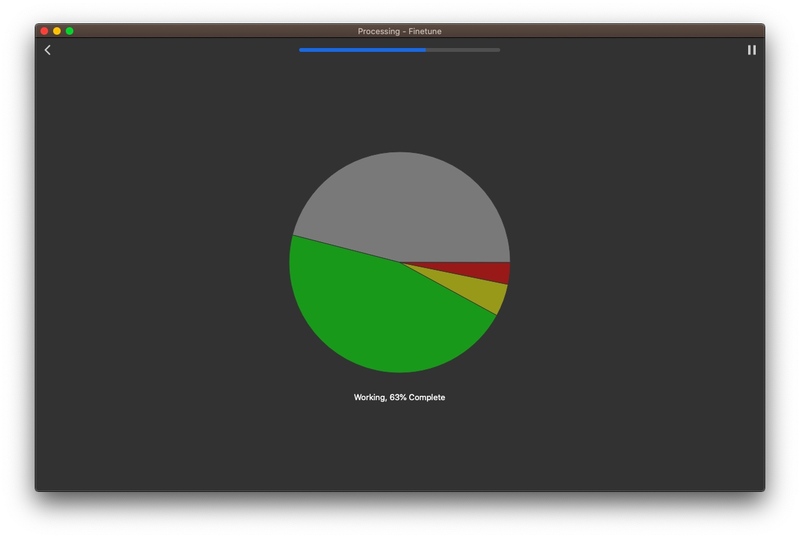 Remove missing files from iTunes library (Mac only). Manually edit tags and choose tracks to be fixed. Changes are stored in your music files so you'll enjoy them also on your other devices. Finetune supports basically all music formats including MP3, AAC, ALAC, FLAC, APE, MPC, Vorbis, WavPack, etc.